For many, May-24 weekend is the official start to the camping season. The warm weather usually associated with the long-weekend is perfect for all types of outdoor activities, and many have been patiently waiting for an opportunity to get out of town and bask in the sunshine, especially after a winter as long and cold as the one we’ve just had. 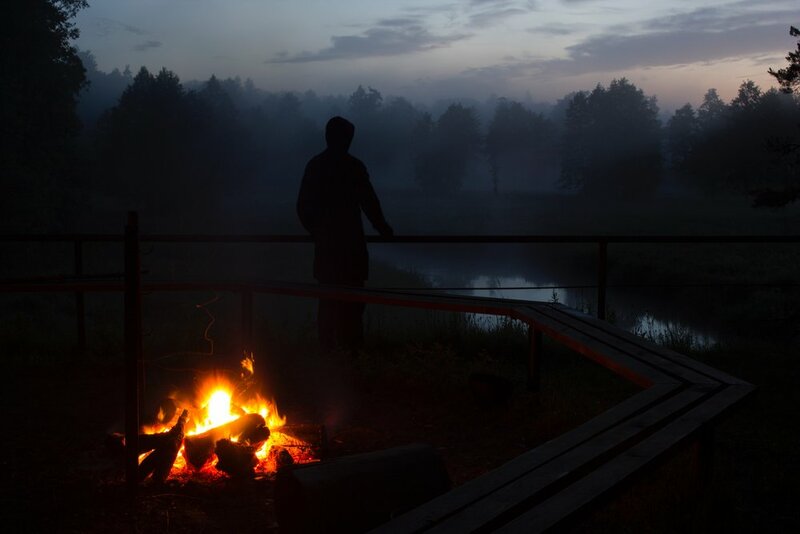 If you are planning to spend some time in the great outdoors, we’ve assembled this list of guidelines to ensure that your campfire experience is a safe and fun one. 1. Check local restrictions about burning open fires. The rules relating to outdoor fires can change from town to town so it’s a good idea to familiarize yourself with the local laws. Designated campsites usually have their own set of rules, but it’s good to ensure that you are operating within them. 2. Use existing fire-ring, if available. If you can avoid starting a fire-ring/pit from scratch, do so. Especially on camping grounds, odds are the existing location is the best spot for the fire. Don’t burn another piece of earth, and further reduce the useable camping area, just because you prefer the view 5 ft over from the existing ring. 3. Be smart about when you burn. Even if you are well within the laws, but there are high winds blowing, you might want to rethink the fire. An uncontained fire can easily start a forest fire, especially if fueled by the wind. Be aware of the conditions. Ensure that you have a bucket of sand and/or an adequate amount of water to put out the fire when you are done, or in case of an emergency. A shovel is also a very handy tool for managing/putting out fires. Where possible, try to avoid having to cut trees for firewood. There should be more than enough useable firewood on the ground already, plus the wood from freshly cut trees may still be too green/moist to burn properly. In fact, most provincial parks in Ontario actually don’t allow you to collect firewood on site, as both living and dead trees are important for a health forest and an integral part of many species’ habitat. As a result, most Ontario parks have firewood and kindling for sale. Some people even choose to bring their own wood with them, however, we advise against this as it is possible to unwittingly aid in the spread of diseases and pests that target trees by bringing them with you to a new location. This can be detrimental to the long-term health of the forest. The Asian long-horned beetle, for example, lays its eggs in hardwood trees and can be undetectable until the larva begins to burrow through the wood, eventually emerging to start the cycle over again. 6. Keep it to a manageable size. Keep track of how much wood you are putting into the fire. It should be large enough to keep you warm and cook your food, not a bonfire to attract people from miles away; in which case you would probably need a special permit anyway. 7. Never, and we mean NEVER, leave your fire unattended. Anything can happen when you aren’t paying attention, and something that would probably only be a small issue can turn into a huge problem if there isn’t anyone around to “nip it in the bud”. There should always be someone, present and awake, who is in charge of the fire. 8. Be mindful of what you are burning. Only throw things into the fire that will burn completely without creating toxic fumes. Aluminum (foil, snack bags, cans), glass, and plastic should never be throw into the fire. If you mistakenly try to burn something non-combustible be sure to remove it from the fire pit once the fire has been extinguished and everything has been given adequate time to cool down. 9. Be considerate of others. Odds are, especially on a long weekend, that you and your family/friends aren’t going to be the only people camping in the area. Be mindful of your activities, as avoid upsetting your neighbours. People often use camping as a way to connect with nature, as well as each other. Therefore, things like playing loud music may be frowned upon. Ensure that you are being considerate of those around you. Ensure that the fire is completely extinguished before leaving the campsite or going to bed (this is when that water and shovel come in handy). Use the shovel to stir the fire and turn over any logs that may be still burning. Once satisfied that the fire is out, carefully put your hand over it to check that there is no more heat emanating from it.